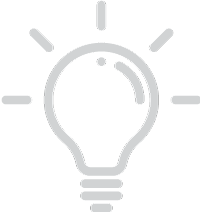 Nice (France), December 2008– The Iris Pharma Research Team has developed a new rat Experimental Autoimmune Uveitis (EAU) model to add to its catalogue of animal models of ocular inflammation for preclinical testing in the field of ophthalmology. Experimental Autoimmune Uveitis (EAU) is an organ-specific autoimmune disease and serves as a model of certain ocular inflammatory pathologies in human. In this model rats develop EAU in up to 75% of induced eyes. 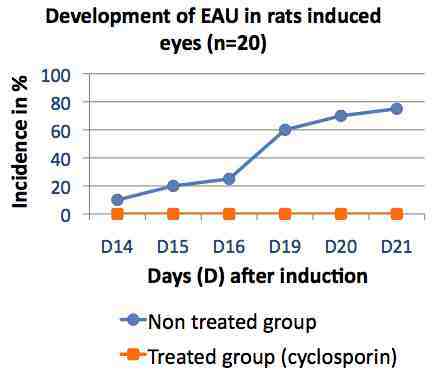 Treatment with oral cyclosporine A administration totally reduced the inflammation in this model with 100% of eyes protected; rat eyes treated with oral cyclosporine A administration do not show any incidence of EAU. Uveitis specifically refers to inflammation of the middle layer of the eye, called the "uvea". This vascular layer includes the iris, the ciliary body, and the choroid. The most common form of uveitis is anterior uveitis, which involves inflammation in the front part of the eye. Pars planitis is inflammation of the pars plana, a narrow area between the iris and the choroid. Posterior uveitis affects the back portion of the uveal tract, and involves primarily the choroid. The inflammation causes spotty areas of scarring on the choroid and retina that result in areas of permanent vision loss. Destructive inflammatory diseases of the eye such as uveitis are the third leading cause of blindness worldwide.